26650 Battery 5750mAh 30Amp 3.7V Flat Top IMR Li-ion. 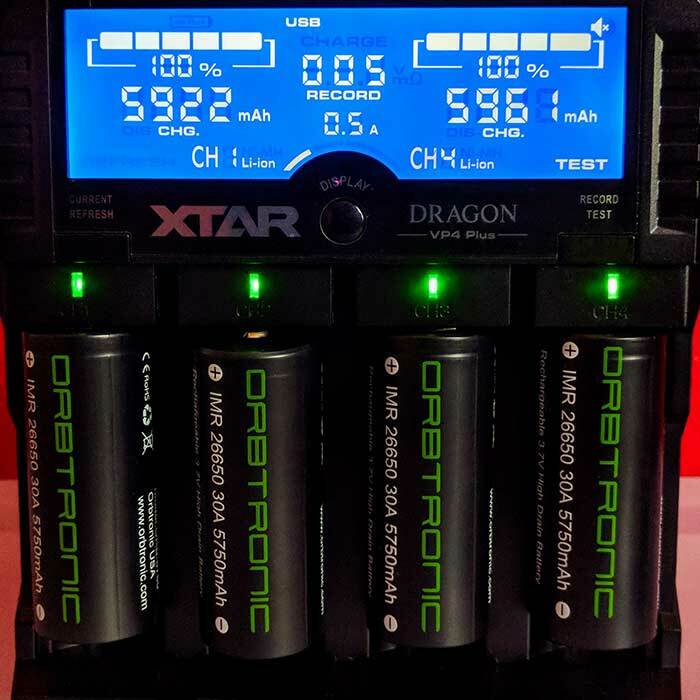 New High Drain High Capacity Battery from Orbtronic. Enjoy Very Long Run Time at high current discharge. Free protective case included with each pair of Orbtronic 26650 batteries purchased. PLEASE DOUBLE CHECK YOUR BATTERY COMPARTMENT /INNER DIMENSIONS/ TO MAKE SURE THAT THIS POWERFUL 26650 BATTERY WILL FIT.